In this ESL lesson plan for adults and teens, students watch a video about Black Friday, camping, and a movement called 'Campsgiving.' It includes discussion questions and conversation activities about Black Friday, shopping, consumerism and camping. Students also learn some important vocabulary terms related to these topics. For grammar, students learn about and do an activity on functions of -ing verbs. In the cooperation activity, there are options for writing customer complaints or story-telling. 'Campsgiving' is a new cultural movement started by millenials. 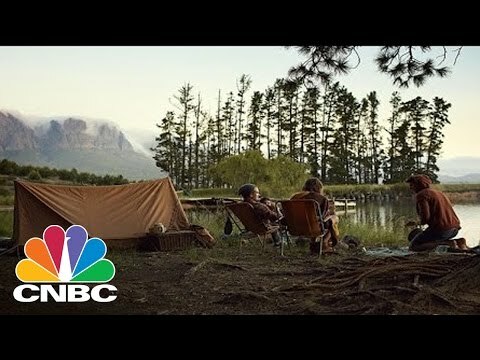 Why focus on the big shopping deals, lines, and chaos at the shopping malls when you can go experience nature and camping with your loved ones? In this ESL lesson plan for teens and adults, students watch a video clip about the details, history, and traditions of Thanksgiving. It includes discussion questions and conversation activities about holidays, traditions, and Thanksgiving. Students also learn some important vocabulary terms related to these topics. The grammar exercise features past modals. In the cooperation activity, there are options for creative conversation, giving a speech, or leaving a voice-mail. 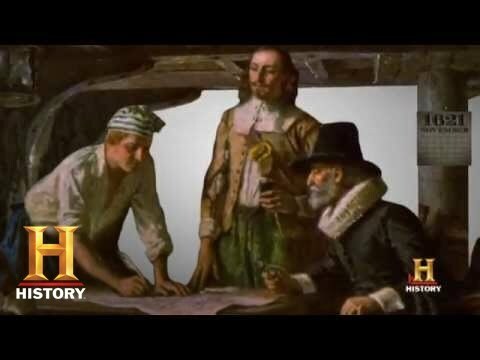 A breakdown of the history of Thanksigivng, the pilgrims, and the traditions of Thanksgiving, while covering some interesting facts about it. This Thanksgiving, Pass the Tofurky! In this ESL lesson plan for teens and adults, students watch a video clip about a hippie who created a vegetarian substitute for turkey - tofurky. It includes discussion questions and conversation activities about holidays, traditions, Thanksgiving, and vegetarianism. Students also learn some important vocabulary terms related to these topics. For grammar, students learn about and do an activity on prepositions. In the cooperation activity, there are options for creative thinking or leaving a voice-mail. A hippie-vegetarian found the perfect substitute for turkey on Thanksgiving - tofurky. It took a few failed attempts with other options, but none of them turned out as well as the tofurky. In this ESL lesson plan for adults and teens, students watch a video clip about Joey getting a Thanksgiving turkey stuck on his head. It features discussion questions and conversation activities about holidays, traditions, Thanksgiving, and turkey. Students also learn some important vocabulary terms related to these topics. The grammar activity features the future tense with 'gonna.' In the cooperation activity, there are options for story-telling, creating TV scenes, or leaving a voice-mail. Joey gets a Thanksgiving turkey stuck on his head when he wants to scare Chandler. He succeeds in the end, but not in the original way he planned. In this ESL lesson plan for adults or teens, students watch a video clip about San Francisco, which is working to become a zero-waste city. It includes discussion questions and conversation activities about the environment, global issues, and zero-waste. Students also learn some important vocabulary terms related to these topics. The grammar exercise features an activity on relative pronouns. In the cooperation activity, students work together to do a role play interview. 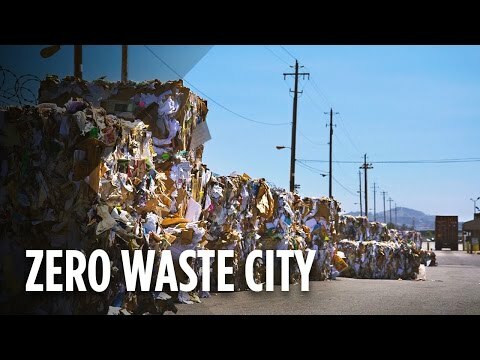 A reporter goes to San Francisco - a city paving the way for becoming a zero-waste city. They've doubled their recycling rate since the private company 'Recology' transformed recycling in the city. The value lies in modern composting facilities. 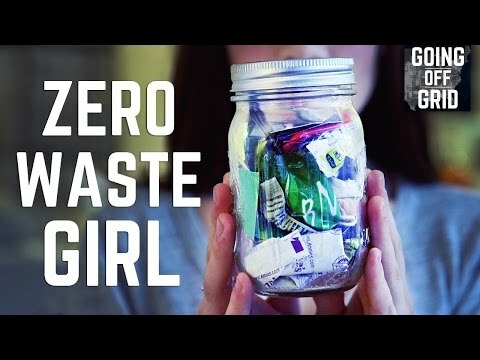 In this ESL lesson plan for adults and teenagers, students watch a video about a girl who lives a zero-waste lifestyle. It includes discussion questions and conversation activities about the environment, global issues, and zero-waste. Students also learn some important vocabulary terms related to these topics. The grammar exercise features an activity on question formation. In the cooperation activity, students can give a public speech. A girl who studied environmental sciences at NYU realized she was a hypocrite when she opened her fridge one day and noticed that everything was pacakged in plastic. This inspired her to pursue a zero-waste lifestyle. Just how hard is it? 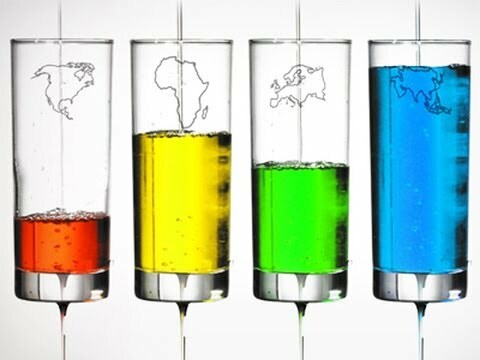 In this ESL lesson plan for teens and adults, students watch a video clip about population through a demonstration using glasses of water. It includes discussion questions and conversation activities about the environment, global issues, and overpopulation. Students also learn some important vocabulary terms related to these topics. The grammar exercise features comparative adjectives. In the cooperation activity, students can do time travel activity, discuss other global issues, and create news reports. Get an overview of how population is growing and what we can expect for the future. A demonstration done using glasses of water and birth rates and death rates. In this ESL lesson plan for adults and teens, students watch a video clip from the TV series 'Friends' with Joey on a date with a girl. It includes discussion questions and conversation activities about first dates, dating, and restaurant culture. Students also learn some important vocabulary terms related to these topics. The grammar exercise features an activity on past continuous. In the cooperation activity, students talk more about first dates and create their own dating situations. Joey goes on a date with a girl, but we all know Joey doesn't share food. When she takes his fries, Joey can't handle it. He pays her back by eating all of her chocolate cake when she steps away for a call. And he's not even sorry. In this ESL lesson plan for adults and teens, students watch a video clip from the TV series 'Friends' with Joey and his new girlfriend. It includes students discussion and conversation activities about dating and friendship. Students learn some important vocabulary terms related to these topics. The grammar exercise features an activity on present continuous and 'gonna.' In the cooperation activity, students do a dialouge. Joey has a new girlfriend - a really sweet, fun girl. But one problem - she punches him in a playful but excessive way. Should Joey break up with her? Rachel takes care of it. *Most suitable for intermediate - advanced students. Suitable for ages 14+. This topic can contain sensitive subjects. Please use at your own discretion and consider if the topic is appropriate for your student(s) or class. In this ESL lesson plan for adults and teens, students watch a video clip with Ross and Rachel, each on their own blind date. It includes discussion questions and conversation activities about first dates, dating, and restaurant culture. Students also learn some important vocabulary terms related to these topics. The grammar exercise features modal verbs. In the cooperation activity, students create a dating situation of their own. Rachel and Ross each go on their own blind date. Ross' date doesn't show up, but at least he gets a free appetizer on the house, while Rachel goes on a date with the most confident man in the world. 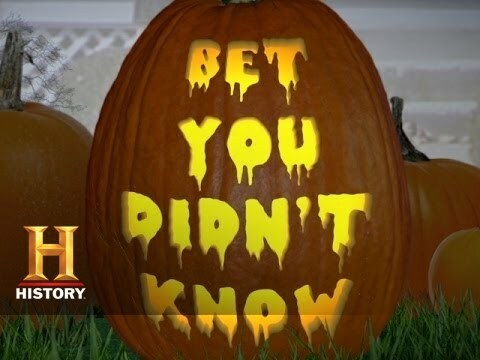 A breakdown of the history of Halloween and its traditions, while covering the impact Halloween has on the economy. In this ESL lesson plan for teens and adults, students watch a video of an Italian pizza chef who owns a pizza restaurant in New York. Your students can discuss questions and do conversation activities about pizza, Italy, and cooking, and learn some important vocabulary terms related to pizza. The grammar exercise feature additional word building and students do an exercise with parts of speech and prefixes. In the cooperation activity where students can write reviews with their new pizza-related vocabulary. 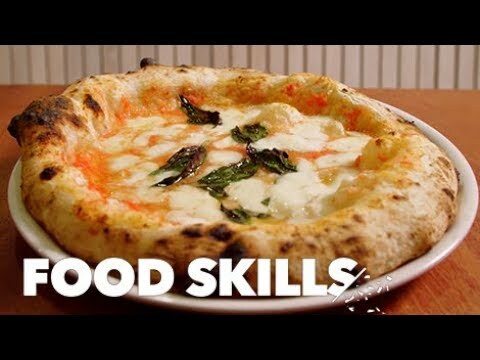 A pizza chef from Naples shows you his special way of making Neapolitan style pizza in his New York City restaurant. Bringing the world-known, original, and classical style pizza to the heart of America. In this ESL lesson plan for teens and adults, students watch a video of an Italian pizza chef reviewing American delivery pizza. It includes discussion questions and conversation activities about pizza, Italy, and cooking, and learn some important vocabulary terms related to these topics. For grammar, students learn when and when not to use the definite article 'the'. In the cooperation activity students can speak together and use their new pizza-related vocabulary terms. 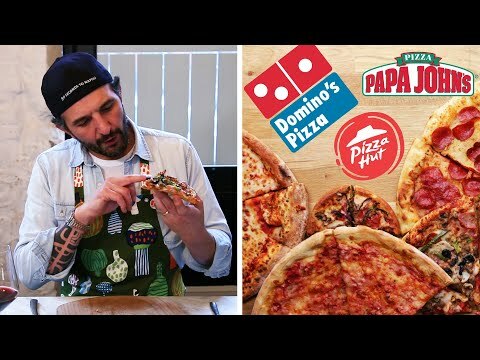 An Italian pizza chef reviews delivery pizza's from some of the most famous pizza fast-food branches. In this ESL lesson plan for teens and adults, students watch a video about pizza in Rome, Italy. Your students can do discussion questions and conversation activities about pizza, Italy, and cooking, and learn some important vocabulary terms related to pizza. For grammar, students learn and do an activity on prepositions of place. In the cooperation activity students can make a review and use their new pizza-related vocabulary terms. 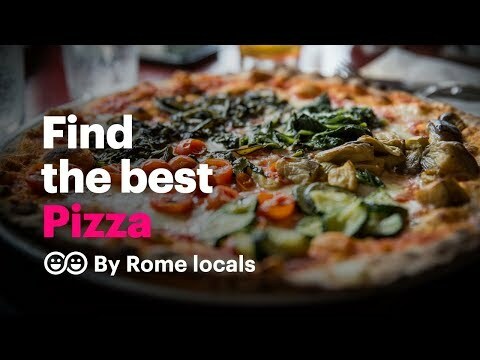 This video explores takes you on a tour of the tastiest pizza scene and family-run 'forno's' in Rome, Italy. In this ESL lesson plan for adults and teens, students watch a video and do a listening exercise about the danger of storm surges and the impact of hurricanes. It includes discussion questions and conversation activities about natural disasters and hurricanes. Students also learn some important vocabulary terms related to this topic. The grammar exercise features expressing cause and effect with -ing clauses and 'which.' In the cooperation activity students issue an evacuation order. While storm surges have proven to be the deadliest part of a hurricane, many people may not even know what they are or what they mean. 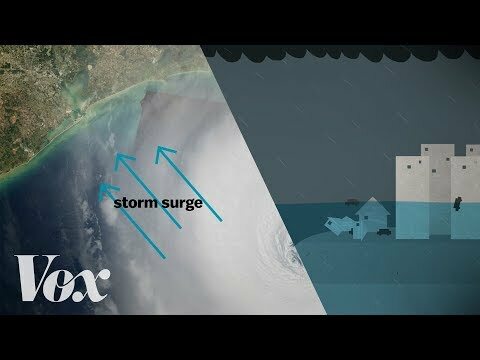 Storm surges from hurricanes are nothing to take lightly, even if you're not in the path of the hurricane. What exactly makes them so deadly?